Help transform new athletes into all-stars with the help of these training hurdles from Sportime. Sportime Adjust-A-Hurdles are an affordable training tool; ideal for students from elementary school to high school. Hurdles feature a swivel base support that allows for easy storage in tight spaces and improves safety by keeping the hurdle support out of the way of your athlete's feet. 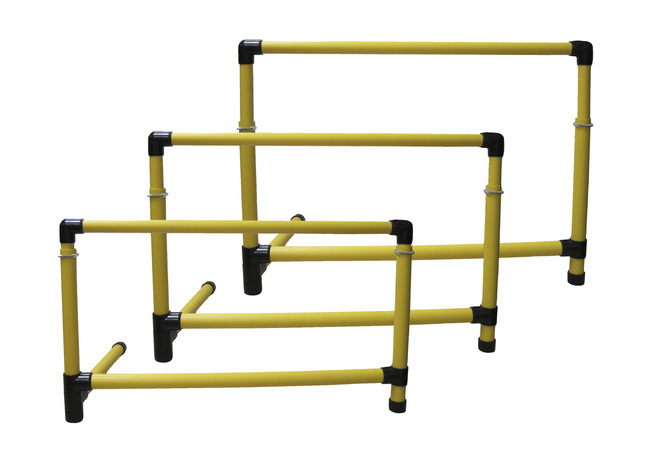 Light-weight hurdles made of durable, high-impact PVC material. Adjust in 3 inch increments from 21 to 36 inches.